Much of the western world, including the Christian world, seems to give democracy the status of godhood. It is held as the way all countries should be governed. Even many churches are governed according to democratic principles. Are they right? What are the Biblical principles involved? In theory, a democracy is basically where the people control the government. This may be in the modern form where they elect representatives or in the ancient form where each issue is voted on by the eligible members. I say "in theory" because in the big democracies of today we see increasing government control regardless of which political party is elected. In the field of churches, democracy means the church members, or in some cases the elected "board," have control over the Pastors and Elders. As disciples of the Lord Jesus Christ, the important issue is what the Bible has to say on the topic. The fact that democracy developed in Athens about 500 BC - after the majority of the Old Testament was written - shows it wasn't in God's original plan. That by itself doesn't mean it is wrong, although it gives cause for strong examination. The issue is, does it flow with or against Biblical principles? The foundational question is then, where does the Bible teach that authority comes from? Does it come from the top down or from the bottom up? In a democracy authority comes from the bottom up. It is assumed to be in the people who - in the form of majority vote - delegate their collective authority to their representatives. In this matter, as in all things, it is vital to go to the Source. How does God operate? Does God receive His authority bottom up [i.e. from His creation] or does He have it in Himself and delegate it from the top down? For anyone who has truly come to Jesus Christ as Lord and Saviour, the answer should be obvious. God does not report to or in any way "need" His creation. God has all authority in Himself - which now resides in the Lord Jesus Christ - and He delegates it as He sees fit. Moses was called and appointed by God, not man. In fact on several occasions the majority vote went against him even to the point of wanting to rebel or murder him. The majority did not deprive him of his authority which was given by God and so could not be removed by man. Study the lives of God's other leaders. Were they put in place by majority vote or by the hand of God? Look at: Noah, Joshua, Samuel, David, Isaiah, Jeremiah, Daniel, Jesus, Peter, John, Paul... You will discover an interesting fact. Often the majority of people opposed or rejected them, yet it did not change their authority one bit. Now, before you get too upset, I do know that in some cases [i.e. representatives in the time of Moses, deacons in Acts, etc.] the people chose their representatives. These representatives presented the desires of the people to the leadership and were trusted by the people. These representatives though were not only chosen by the people, but also had to be approved by the leadership before taking office. In addition, they were not the decision-makers, but brought the concerns of the people to the leadership or directed affairs under the oversight of the leaders. Let look at the natural world for moment now. How do sports teams operate? Do the players make the plays [or run the club in general] by majority vote? The team would soon cease to function in such a case. What about business? Do the employees control the business decisions by majority vote - even though those decisions may have a major impact on their lives? 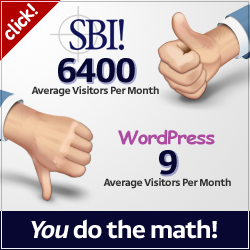 How long to you think the average business would be operating under this kind of system? Why, when we come to the church or the civil government, are we so fanatical about democracy - especially when it doesn't work in other areas of life? 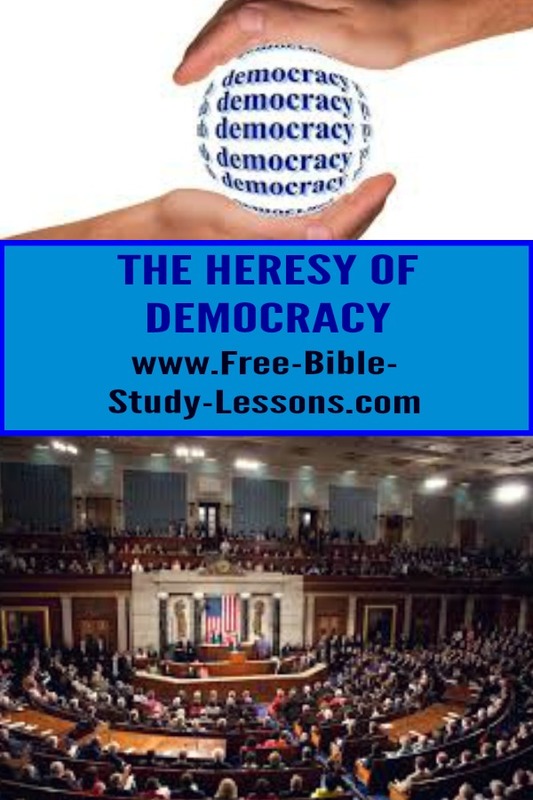 Has democracy become a false god - just another way for humans to declare their independence from the real God? Who or what are we really looking to for salvation? The fear in the church is that the Pastor will become a dictator. Our solution to this potential [and real] problem is to tie the Pastor's hands behind his back and expect him to fight both the church and the devil! At the church level this is like the soldiers in an army voting who their officers will be and voting on the battle plans before they are implemented. If it doesn't make sense in a physical army, why would we think it makes sense in God's spiritual army? Ever wonder why more isn't being done for the Kingdom of God? The fear in the case of the civil government is that too much power in the hands of one person [or a few people] is highly dangerous. One doesn't have to look very far in history or even in our world today to see the real dangers and abuses of power. On the other hand, too much power in the hands of the people is simply mob rule with right or wrong being determined by majority vote. One only has to look at the great democracies of today to see that they also have failed to solve the problem. While they preach democracy to others, their own lands are filled with crime, abortion, division, high taxes, oppressive government, injustice, and fear. What should we do in a church which operates under a democratic system? First, we need to have our will submitted to the Lordship of Jesus Christ. Second, we need to support the Pastor and his leadership, even if we disagree, as long as they are not in violation of the Word of God. This doesn't mean that we can't voice our opinions or concerns on issues, but our loyalty and support is with God's leader. What should we do in a democratic country - refuse to vote? First, we need to have our will submitted to the Lordship of Jesus Christ. Second, we need to realize that democracy is not the answer to our nation's [or any other nation's] problems - only Jesus is the Answer. Third, we work within whatever system of government God has placed us for the benefit of the Kingdom of God. If that includes voting, then we vote for the best people possible. If it includes public action which will promote righteousness and hinder evil, then it needs to be used. Should the democracies be overthrown? No. We live and work within whatever government system God has placed us always realizing that it is God - not the government - that we look to for our salvation. The bottom line is: Any form of government will work if the people and the leaders are Godly people committed to the Word of God, and any form of government will become corrupt and tyrannical if the people or rulers are ungodly. The critical issue is the heart of the people. Let us not worship democracy, but worship God. We, in the West, are headed into corruption and oppression because our hearts are evil. Even many Christians care more for their own opinions than for studying and applying the Word of God in every area of life. They have become lost in the fantasy of false "end-times" teachings, or they don't know what God requires, or they know [or could know] what God requires but simply refuse to obey it. They have rejected Biblical Law and the only possible result is slavery.